I’ve been constructing this concept for a while, and I want to know what you all think of it. It likely won’t come out for another week or so, considering all of the new RPGs that have been released, but it’s still nice to gather opinions. 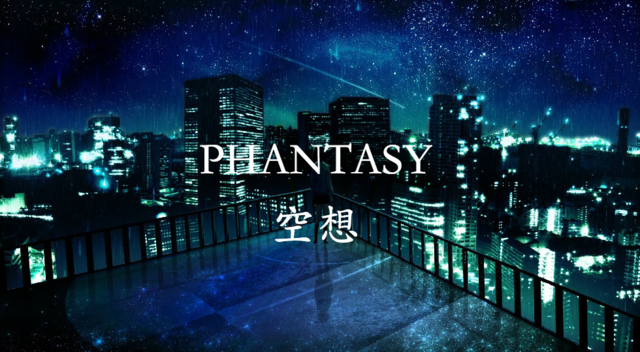 Phantasy takes place 10,000 years into the future, where Japan once was. Although it’s the year 12,015, the setting isn’t as futuristic as one may think. It’s going to be more of a sci-fi with emphasis on fantasy setting with moderate technology. This would be elaborated on in the OP, but that’s what it will generally look like. Since time has essentially “started over” per se, the seal between the human world and the spirit world has been broken. Evil spirits and benign spirits alike have spilled into the world, which threatens to throw off the balance between life and death. The story revolves around a group of people who can see these spirits that work against the new government in order to return these restless souls to the spirit world. They are also able to pass between the two worlds. There’s a concept I’m introducing called “soul colors,” which serves as a type of identifier for the character. Soul Colors will also be linked to certain abilities, which will also be expanded upon when I work on this some more. Soul Colors become present at birth, and there are two of them. The primary Soul Color is either white, grey, or black, and determines if you are good, neutral, or evil. The secondary Soul Color is one of a variety of colors, which determines your general disposition and your abilities. Only the government and certain people can see the Soul Colors of others, but your character will be able to know their own. Again, this will be better explained later. So, tell me what you think! I’m open to suggestions and comments. I really like this idea, and I hope that I can make it enjoyable for everyone. Aaaaaaaaah I love the concept!! It sounds really interesting and pretty unique! I'm definitely on board! @boyhoy wrote: Aaaaaaaaah I love the concept!! It sounds really interesting and pretty unique! I'm definitely on board! @Fix-It wrote: I'm in-- sounds neato. Yay! I'm glad you two are interested! Thank you all for your interest! I'm super excited. Since the OP will be pretty extensive, I'll be sure to have more information up maybe tomorrow or the day after so that everyone will have time to think of characters.